Physicians are being paid by drug companies to promote brand-name prescriptions. Is yours? Editor's Note: According to reporting released today by ProPublica, an independent, nonprofit investigative news organization, the pharmaceutical industry has paid "more than $257 million to some 17,700 doctors and other practitioners" to promote and sell its brand-name medications. Those figures, which represent payments by just seven drug companies since 2009 are, says ProPublica, "a small fraction of the industry’s total outlay." By 2013, as part of the new health care law, all drug companies will be required to publicly disclose payments to doctors. 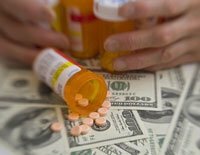 AARP.org is publishing the lead story — titled "Docs on Pharma Payroll Have Blemished Records, Limited Credentials" — of ProPublica's "Dollars for Docs" series, which is produced in collaboration with National Public Radio, the PBS Nightly Business Report, the Chicago Tribune, The Boston Globe and Consumer Reports. Be sure to use the "Dollars for Docs" database (above) to see if your physician is on a pharmaceutical company's payroll. Yet the finding, posted on the board’s public website, didn’t prevent Eli Lilly & Co. from using him as a promotional speaker and adviser. The company has paid him $85,450 since 2009. In 2001, the U.S. Food and Drug Administration ordered Pennsylvania's Dr. James I. McMillen to stop “false or misleading” promotions of the painkiller Celebrex, saying he minimized risks and touted it for unapproved uses. Last year, Taylor was Cephalon's third -highest-paid speaker out of more than 900. He received $142,050 in 2009 and another $52,400 through June. Leak, McMillen and Taylor are part of the pharmaceutical industry’s white-coat sales force, doctors paid to promote brand-name drugs to their peers — and if they’re convincing enough, get more physicians to prescribe them. This story is the first of several planned by ProPublica examining the high-stakes pursuit of the nation’s physicians and their prescription pads. The implications are great for patients, who in the past have been exposed to such heavily marketed drugs as the painkiller Bextra and the diabetes drug Avandia — billion-dollar blockbusters until dangerous side effects emerged. "Without question, the public should care," said Dr. Joseph Ross, an assistant professor of medicine at Yale School of Medicine who has written about the industry’s influence on physicians. "You would never want your kid learning from a bad teacher. Why would you want your doctor learning from a bad doctor, someone who hasn’t displayed good judgment in the past?" To vet the industry’s handpicked speakers, ProPublica created a comprehensive database that represents the most accessible accounting yet of payments to doctors. Compiled from disclosures by seven companies, the database covers $257.8 million in payouts since 2009 for speaking, consulting and other duties. In addition to Lilly and Cephalon, the companies include AstraZeneca, GlaxoSmithKline, Johnson & Johnson, Merck & Co. and Pfizer Inc. Although these companies have posted payments on their websites — some as a result of legal settlements — they make it difficult to spot trends or even learn who has earned the most. ProPublica combined the data and identified the highest-paid doctors, then checked their credentials and disciplinary records. More than 40 have received FDA warnings for research misconduct and lost hospital privileges, or they have been convicted of crimes. And at least 20 more have had two or more malpractice judgments or settlements. This accounting is by no means complete; many state regulators don’t post these actions on their web sites. All told, 384 of the approximately 17,700 individuals in ProPublica’s database earned more than $100,000 for their promotional and consulting work on behalf of one or more of the seven companies in 2009 and 2010. Nearly all were physicians, but a handful of pharmacists, nurse practitioners and dietitians also made the list. Forty-three physicians made more than $200,000 — including two who topped $300,000. The busiest — and best compensated — doctors gave dozens of speeches a year, according to the data and interviews. The work can mean a significant salary boost — enough for the kids’ college tuition, a nicer home, a better vacation. Among the top-paid speakers, some had impressive resumes, clearly demonstrating their expertise as researchers or specialists. But others did not — contrary to the standards the companies say they follow. Experts say the fact that some companies are disclosing their payments is merely a start. The disclosures do not fully explain what the doctors do for the money — and what the companies get in return. So the industry has relied more heavily on the people trusted most by doctors — their peers. Today, tens of thousands of U.S. physicians are paid to spread the word about pharma’s favored pills and to advise the companies about research and marketing. Recruited and trained by the drug companies, the physicians — accompanied by drug reps — give talks to doctors over small dinners, lecture during hospital teaching sessions and chat over the Internet. They typically must adhere to company slides and talking points. Glaxo’s drug to treat enlarged prostates, Avodart — locked in a battle with a more popular competitor — is the topic of more lectures than any of the firm’s other drugs, a company spokeswoman said. Glaxo’s promotional push has helped quadruple Avodart’s revenue to $559 million in five years and double its market share, according to IMS. Favored speakers such as St. Louis pain doctor Anthony Guarino earn $1,500 to $2,000 for a local dinner talk to a group of physicians. Guarino, who made $243,457 from Cephalon, Lilly and Johnson & Johnson since 2009, considers himself a valued communicator. A big part of his job, he said, is educating the generalists, family practitioners and internists about diseases like fibromyalgia, which causes chronic, widespread pain — and to let them know that Lilly has a drug to treat it. Kentucky’s medical board placed Dr. Van Breeding on probation from 2005 to 2008. In a stipulation filed with the board, Breeding admits unethical and unprofessional conduct. Reviewing 23 patient records, a consultant found Breeding often gave addictive pain killers without clear justification. He also voluntarily relinquished his Florida license. “Did they not do background checks on these people? Why did they pick them?” said Lisa Bero, a pharmacy professor at the University of California, San Francisco who has extensively studied conflicts of interest in medicine and research. "If they did things in their background that are questionable, what about the information they’re giving me now?” she said. “We look at it from the affirmative — things that would qualify physicians,” said Diane Bieri, general counsel and executive vice president of the Pharmaceutical Research and Manufacturers of America. Last summer, as drug giant Glaxo battled efforts to yank its blockbuster diabetes drug Avandia from the market, cardiologist Hal Roseman of Nashville, Tenn., worked the front lines. Roseman’s public profile comes from his work as one of Glaxo’s highest-paid speakers. In 2009 and 2010, he earned $223,250 from the firm — in addition to payouts from other companies.